EU Law Analysis: The Case of the Administrative Arrangement on Asylum-Seekers between Greece and Germany: A tale of “paraDublin activity”? The Case of the Administrative Arrangement on Asylum-Seekers between Greece and Germany: A tale of “paraDublin activity”? * Reblogged from the EDAL blog. An earlier version of this article was published in Greek on immigration.gr blog. The views and opinions expressed in this article are those of the author and do not necessarily reflect the official policy or position of Médecins du Monde – Greece. Special thanks go to Evangelia Tzironi, PhD Candidate at the Law School of the National and Kapodistrian University of Athens for proofreading the article. In mid-August 2018, Germany, Greece and Spain agreed on the sketchy details of the initial migration compromise deal that was reached on the sidelines of the EU Summit in Brussels in late June 2018. In this context, the Ministers on Migration of Germany and Greece reaffirmed their commitment by exchange of letters, to work towards common European solutions and to avoid any unilateral measure with respect to migration and asylum. In particular, both countries underlined their support for concluding the revision of the Common European Asylum System by end of 2018 “with the aim of achieving the goal of fair sharing of responsibility and solidarity”. In the event of a crisis – defined as a situation where asylum applications have surpassed a certain percentage e.g. 140% of a State’s fair share of asylum applications based on objective criteria (total population and GDP) – Germany committed to support Greece in the Council (of the European Union), especially on the adoption of additional support measures at European Union level. Germany agrees also that further supportive and development measures need to be adopted on the five Greek islands of Eastern Aegean, where the hotspot approach is implemented, in order to assist local communities. Finally, Germany affirms its commitment to increase the human resource capacity in Greece, through the EU Asylum Support Office (EASO), with the aim to strengthen the asylum system. The final operational details of the aforementioned political agreement were annexed to the letters, under the Title “Administrative Arrangement”. This blog post aims to outline the key points of this “Arrangement”, to examine its legal nature arguing that argue that this document is a bilateral treaty whose scope extends beyond the Dublin Regulation, and to critically assess its impact on the EU asylum policy. The Administrative Agreement is comprised of 15 articles and divided into three sections. The first part includes arrangements for the readmission to Greece of persons identified in the context of temporary checks at the German-Austrian border, having previously applied for asylum in Greece. The second part includes provisions for concluding pending Dublin cases of family reunification from Greece to Germany, and finally, the third section includes provisions on the review of the implementation of the "agreement", the mutual dispute settlement and beginning and ending of the aforementioned cooperation between the two countries. Germany will return to Greece, any adult third-country national who has been identified during a check at the German-Austrian border and wishes to apply for international protection if he/she has already applied for asylum in Greece i.e. when an entry in Eurodac (the EU system of exchanging fingerprints of asylum-seekers) indicates that the person has already requested protection in Greece, and such entry is dated from July 1st, 2017 onwards. Unaccompanied children (under the age of 18) at the time of the identification are excluded from readmission to Greece. The German Authorities will provide notification of the refusal of entry to the Greek responsible authority using the form annexed to the Agreement via fax or email. The return should be initiated no more than 48 hours after the person has been apprehended, unless the Greek side objects to the return within six hours from the automatic confirmation of the receipt of the notification of the refusal of entry, demonstrating why the conditions of the administrative agreement have not been met. Within 7 days of the readmission, if the Greek authorities demonstrate that the above conditions had not been met (refusal of entry in error), Germany will readmit the person concerned without delay. Germany commits to swiftly concluding family reunifications from Greece in the framework of the Dublin III Regulation by the end of 2018, with respect to “take charge” requests already accepted by the German Dublin Unit before 1 August 2018. It should be noted that due to the high number of Dublin transfers from Greece to Germany over the last year, asylum seekers entitled to be transferred to Germany under the relevant provisions of the Dublin III Regulation, were “blocked” in Greece for periods exceeding the six-month deadline provided by art. 29 of the Regulation. Germany also undertakes to examine all pending “take charge” requests that have been submitted before 1 August 2018 that have not been examined yet within two months of the beginning of the cooperation between the two parties based on this Administrative Agreement. The number of people to be transferred from Greece to Germany is capped at 600 people per month and family reunifications should be completed by December 2018. At the same time, the German authorities will examine and reply "without undue delay" to all requests for re-examination submitted before 1 August 2018. To this end, the Greek authorities will provide a relevant sortable list with case numbers and submission dates. Passports and ID cards, marriage and birth certificates, family booklets, as well as the transcript of the interview with the person concerned, will be considered as evidence, when submitted in relation to a currently pending request for re-examination. These documents will be submitted in their original language. A translation in English will be also submitted, if available. It is explicitly envisaged that the submission of documentation in its original language (without translation) may not be used as a justification for rejecting the request for re-examination. The cooperation between the two countries based on the Administrative Arrangement starts from the day of its acceptance by the Greek Minister on Migration Policy (dated 18.8.2018). The two parties will review the implementation of the agreement on a three-month basis. Each Party may withdraw from the Agreement by notifying the other Party in writing at least three weeks in advance. Lastly, it is explicitly envisaged that the agreement will discontinue upon entry into force of the revised Common European Asylum System. "Administrative Arrangement" or international treaty? The first issue raised by this so-called "Administrative Arrangement" concerns its actual legal nature. Based on the public statements made so far and the title given to the document, it could be argued that the latter could be understood to be an informal non-treaty instrument - an arrangement on operational issues and actions in line with EU law. According to this argument this text seems to be in conformity with Article 36 of the Dublin III Regulation, which stipulates that Member States may, on a bilateral basis, establish administrative arrangements between themselves concerning the practical details of the implementation of this Regulation, in order to facilitate its application and increase its effectiveness. Such arrangements may relate to exchanges of liaison officers and the simplification of the procedures and shortening of the time limits relating to transmission and the examination of requests to take charge or take back applicants. However, taking as a point of departure that negotiating States have the autonomy to choose between complex or simplified forms of express consent to be bound by a treaty (in the present case by exchange of instruments under Article 13 of the Vienna Convention on the Law of Treaties (VCLT), and given its content, it could also be argued that the “Agreement” could be perceived as an international treaty concluded in simplified form. This agreement in fact sets forth the “technical” modalities of the earlier political agreement between Chancellor Merkel and Prime Minister Tsipras in Brussels last June, in the sidelines of the EU Summit. International treaties in simplified form are concluded without the need for ratification by the State, nor the consent of the parliament. They are usually signed by Ministers or any other body authorized under national law and are related to technical or administrative issues of cooperation, military pacts concluded on a battlefield or arrangements for the application of a binding (“typical”) international treaty. In order to draw a safe conclusion on the nature of the “administrative arrangement”, all the circumstances around the exchange of letters should be meticulously examined. “Treaty” means an international agreement concluded between States in written form and governed by international law, whether embodied in a single instrument or in two or more related instruments and whatever its particular designation (Article 2(1)(a) of the VCLT). Whatever its designation (convention, accord, protocol, exchange of letters, agreed memorandum, memorandum of understanding), the intention of negotiating parties to create binding legal obligations marks the difference between treaties and informal instruments. To wit, even an exchange of letters could be considered as an international treaty. A closer look on the actual content of the "Arrangement" suggests that this is not just an informal international non-binding agreement or arrangement on technical details of cooperation between the two Parties for the implementation of the Dublin Regulation, but rather a legal instrument setting forth “new” binding rules whose scope moves beyond the obligations established under the Dublin III Regulation. In fact, the first part of the “Arrangement” contains clauses that are usually included in readmission agreements. 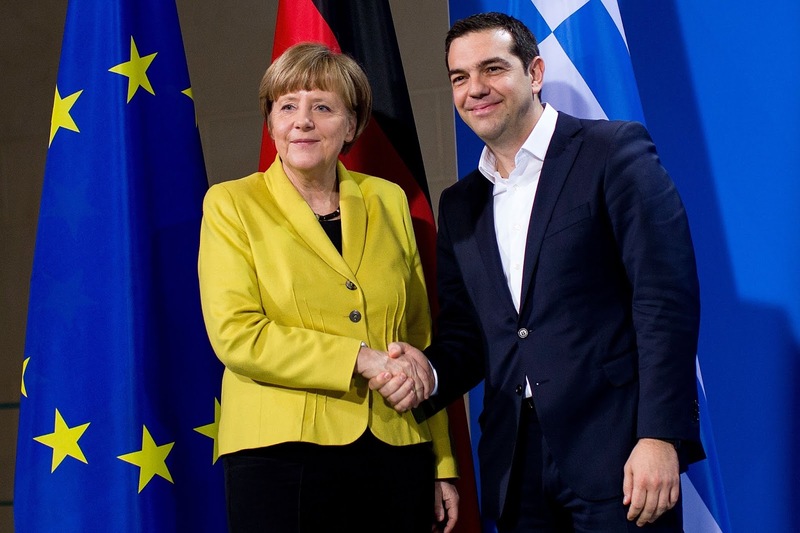 No such an agreement has been ever signed between Germany and Greece. In particular, the clauses of the Arrangement lay down, among others, the specific conditions for readmission, the competent authorities of each State, the procedure to be followed, the responsible State in terms of costs etc. A standard template form is also included so as to facilitate the return. In reality, the “Arrangement” does not establish simplified and streamlined procedure for “Dublin transfers” (the wording “transfer” in not used in the text) but rather a fast-track readmission procedure for persons refused entry at the German-Austrian borders, likewise in any other case of an irregular migrant refused an entry in Germany. Another crucial element regarding the legal nature of this “Arrangement” lies with the specific clauses on family reunification that undoubtedly enumerate commitments to which the Parties have consented and their intention to create legal rights and obligations that go beyond those already provided for in the "Dublin III” Regulation. Namely, assuming the obligation to accept a transfer of an asylum seeker from Greece to Germany upon expiry of the 6 months’ time-limit under Article 29 of the Regulation – where the respondent MS is relieved of its obligations to take charge or to take back the person concerned – is a “new” obligation for Germany enshrined in the "Administrative Arrangement". The same also applies for the obligation to re-examine all rejected requests for “take charge”. To avoid any confusion, one should make a clear distinction between the potential responsibility of Germany for the infringement of the time-limits and conditions laid down in the Dublin III Regulation, e.g. for breaching EU law, and the legal obligation of Germany to actually accept transfers for which its responsibility has already ceased under “Dublin”. These obligations are now explicitly assumed by the aforementioned "Administrative Arrangement". It is worth mentioning that last year the competent Ministers of Greece and Germany had reached to a similar informal arrangement by which Dublin transfers to Germany were capped at 70 persons per month for a certain period of time. This informal agreement, however, was rather a "gentleman's agreement" between the two states without creating clear binding obligations for both parties. In any case, the conformity of this agreement to the Dublin Regulation is open to discussion, since the Dublin Regulation does not foresee such caps on relevant transfers for administrative convenience reasons. Finally, one could hardly argue that during Merkel and Tsipras΄ meeting in Brussels, where a common political agreement was reached on migration, the two leaders concluded a formal treaty under international law with the subsequent "administrative arrangement” serving as a treaty in a simplified form, laying down modalities for the application of the treaty concluded by the two heads of state. For all these reasons, the "administrative arrangement" should not be considered as a "gentlemen's agreement", nor as an administrative arrangement under Article 36 Dublin III Regulation but rather as a binding bilateral treaty whose provisions establish obligations that go beyond the scope of obligations established under the Dublin III Regulation. 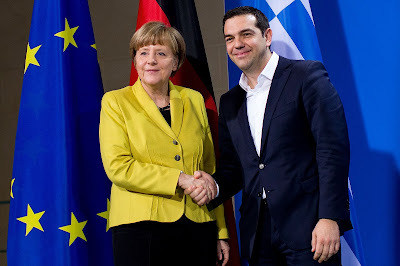 The agreement thus is governed by international law; an international treaty between Greece and Germany. This contravenes EU law which does not allow legislation at national level or bi/multilateral inter-se agreements in policy areas of shared competence, to the extent that the EU has exercised its competence, as it did through the adoption of the Dublin III Regulation (see TFEU Art 2(2); TEU Art. 4(3), third indent, and Protocol 25 to the TFEU). Another key point of concern is the impact of this bilateral agreement on EU’s asylum policy. Could this “Administrative Arrangement” be seen as a new, enhanced and adapted to current developments, version of the Dublin rules, that is to say a bilateral agreement between two Member States that aims at strengthening the Dublin rules and principles or just another agreement beyond the scope of Dublin Regulation governed by international law? One could argue that such bilateral agreements are rather symbolic in nature. They indicate that compromises at European Union level are feasible. As talks on the revision of the Dublin III Regulation stall, the establishment of interim measures among those Member States willing to move ahead collectively at European Union level (“enhanced cooperation”) seems indeed to be the only possible way to actually make progress in this area. However, that enhanced cooperation should to be done under the framework of EU law, i.e. following the procedures of EU law and not bilaterally as an inter-se agreement. But is this "administrative arrangement" actually such a measure of European Union cooperation? Although the responsible Ministers expressly commit to continue working towards common European Union solutions and avoiding unilateral measures in relation to asylum and migration, this agreement is in fact just another – deeper – derogation from/violation of the European Union acquis. In fact, through such agreements, Germany cooperates with Member States serving as a key point of entry in EU by creating a “Quasi-Dublin” system / a Dublin-like system creating obligations that go beyond the scope of the Dublin III Regulation (i.e. extension beyond the 12 month period for the responsibility for irregular entry) and limitations that are not foreseen in the Regulation (such as caps on the numbers of transfers under the family reunion clauses). A system which, on the one hand, follows the general philosophy of the Dublin Regulation (application of the first country of entry criterion), but, on the other hand, is "free" from all “obstacles” that could jeopardize swift returns – namely clauses and safeguards provided for asylum seekers by the Dublin Regulation, such as family unity criteria, right to appeal against the application of Dublin criteria and deadline to appeal against the transfer decision etc. Undoubtedly, Southern Member States serving as the main gateways to Europe for third country nationals are in absolute need of European Union solutions on the basis of solidarity and fair responsibility sharing. In this context, the revision of the Dublin III Regulation and the introduction of a permanent allocation mechanism among European Union states is a key issue for Greece. One can hardly wonder why Germany would then be interested in reforming the Dublin Regulation if a more flexible "Quasi-Dublin" system- tailored to its needs- has already being established. Bilateral agreements, such as this, with one of the most prestigious EU countries, could draw away any possibility of a positive revision of the Dublin Regulation for Southern Member States in the near future. In any case, this "administrative arrangement" marks an alarming development in the context of Greece’s migration policy. To date, Greece has signed and ratified a number of agreements on the readmission of persons irregularly entering or staying in its territory. For all these agreements, the usual process of concluding international treaties was followed: Signing of an agreement, protocol, or treaty and its ratification by the Parliament, according to Article 36 of the Greek Constitution. On the contrary, in the present case, it is the first time that a readmission agreement is concluded by Greece through an exchange of letters between Ministers. Though such an agreement is totally valid and binding under international law, the fact that it not only deals with international relations and migration policy but ultimately with human rights, is concluded away from parliamentary scrutiny and procedures – without even being published in the Government Gazette – raises important concerns on transparency and the rule of law.